Eindhoven, The Netherlands, February 26th 2015 – NexGuard, a Civolution company, the leading provider of forensic watermarking technology and solutions for protecting media content against illicit redistribution, today announced that it will showcase the latest developments for its NexGuard media protection solution at CABSAT 2015 (Hall 4, Stand CD-34). 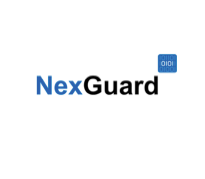 Visitors to the stand will be able to see on-stand demonstrations showing how content owners, providers and operators can use the unique NexGuard forensic watermarking solution to secure their premium content. To serve the content industry in the Middle East more closely, NexGuard also announces the opening of a regional office in Dubai. Increased consumer demand for premium content via OTT and VoD PayTV services in the connected home has motivated operators to integrate forensic watermarking solutions so that content illegally streamed to the internet from the consumer’s set-top-box can be traced back to the source. This enables operators and service providers to gain the Hollywood studios’ trust, as well as facilitate the distribution of live sports and regional productions on VoD and OTT services. Forensic watermarking is the means by which a unique and imperceptible identifying code is embedded into a media asset, whether a movie, video or any other type of content. By adding a unique identifier disseminated throughout a piece of media, that content, along with its original recipient, becomes identifiable. NexGuard forensic watermarking is integral in deterring piracy efficiently on every PayTV platform as it allows service providers to find the source of piracy when content is re-streamed or uploaded to unauthorized media sharing services. Watermarking for PayTV Set-top-Boxes (STBs): For VOD and live services delivered via satellite, cable or IPTV, NexGuard offers on-device watermarking solutions, already deployed in 20 million devices worldwide. The demonstration will feature a PayTV Set-Top-Box with NexGuard as well as live watermark detection. E-Screener solution: For original content production, NexGuard offers pre-release screening solutions using physical discs or electronic delivery. The demonstration features an e-Screener solution that streams pre-release content to a mobile device and a laptop. 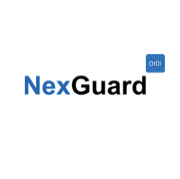 NexGuard forensic watermarking has proved effective at reducing piracy; Hollywood studios have recognized the value of the solution since forensic watermarking was mandated for Digital Cinema 10 years go. As witnessed by the incorporation into the recent MovieLabs specifications, the studios are now also making forensic watermarking a key security requirement for any operator looking to offer their early release or UHD/4k content, which several operators in the Middle East already offer or are planning to introduce in the near future.